Alexander Hoogenboom, PhD, MSc. LL.M. Senior Policy Officer at the Dutch Healthcare Authority and associate researcher at the Institute for Transnational and Euregional cross border cooperation and Mobility, Faculty of law, Maastricht University. The position taken in this paper solely reflects the views of the author. Recent case law of the Court of Justice on EU citizens’ access to benefits has been seen by some as a restrictive turn compared to prior case law, in response to a rise in populism. However, the article by Davies in a recent special issue of the Journal of European Public Policy is to be commended for its original take on this alleged ‘turn to restrictiveness’. The goal of his article is, as I see it, questioning whether the Court has indeed recently become stricter (in the sense of more State-friendly, less Union citizen-friendly) in response to the populist turn in the European political landscape. In that vein, Davies submits, contrary to what he sees is the main thrust in the scholarship, that the court has been ‘normatively consistent’ (see also this research paper he authored) and that the perceived difference in recent litigation outcomes from the golden years of Union citizenship are due to the litigants being less ‘deserving’ of access to benefits provided by the host Member State: ‘what goes in will provide an overwhelmingly plausible explanation of the outcomes on its own’. This argument is supported by relying on a methodology for measuring the ‘deservedness’ of the litigants based on a set of indicators: the ‘good behaviour’ of the applicant, the possibility for exceptional harm should the benefit be denied, the possible cost to society resulting from the grant of a benefit (e.g. because it is long-term or applies to a large category of persons), whether granting the benefit would mandate a particular positive outcome and whether the State was somehow at fault for the specific conundrum that the litigant finds him or herself in. The more ‘deserving’ (high contribution to society, low cost), the greater the likelihood of a litigant-positive result. Applying these criteria to a selection of case law, Davies proceeds to show that indeed, the Dano’s (never worked, never integrated, lacked resources for self-support) of the world seem to be less deserving of benefits than the Sala’s (long-term legal resident, child benefit denied due to a technicality by an inconsistent state). (On the Dano case – the first judgment showing the perceived turn toward a stricter approach – see the discussion here). There are, however, a few issues one could take with this approach. In part, it is questionable whether the facts as available to scholars of EU law decisions allow one to accurately apply the proposed test – especially given that the publication of the Reports for the Hearing was abolished since 2012 (see also para 119 of the AG opinion in Breyer). This is exacerbated, as Davies admits, by the fact that a negative outcome throws its shadow forwards: one then tends to present the facts in such a way as to support the later conclusion. In part, it is questionable whether deservedness is objectively verifiable: after all, one could also argue that the rise of populism or say an economic crisis – the ‘times we live in’ – simply provide a different kind of lens through which to view the migratory Union citizen. The same fresh-faced youth enrolling in higher education in a Member State different from the one of his nationality can be cast as a self-improving, future productive member of that society (compare to Gravier, para 24) or as a welfare-abusing, locust-like creature eating his or her fill and subsequently returning from whence he or she came (see the main arguments by Belgium and Austria in the the judgment in Bressol). However, the main challenge I would like to level is that the methodology suggested is applied to an incomplete ‘data set’ (the cases), in part due to selection bias (the focus in the article on the cases ‘most discussed’). The case of Grzelczyk is among those used by Davies to support his thesis: his particular circumstances ‘paint a sympathetic picture’. A hard-working young Frenchman, resident in Belgium for some time and whose claim to financial support finish his last few months of study would seem altogether reasonable. Indeed, the Court, while leaving it to the national court to make the final decision, seemed to suggest he should be so entitled. Nonetheless, the Court was not so generous in Förster. Jacqueline Förster was a German national who grew up in a town not far from the Dutch border. She moved to and resided in the Netherlands from March 2000 onwards – partly to be with her Dutch boyfriend. There, she enrolled into a teacher training programme and later in a course on educational theory at the Hogeschool van Amsterdam. In the period 2000-2002 she undertook various part-time jobs, until she engaged in full-time paid practical training at a Dutch school providing secondary education for children with special needs (October 2002 – June 2003). After her practical training she did not engage in gainful employment until July 2004. She graduated from her course that summer. At stake was the intermezzo period: the Dutch Student Benefit Authority (then called IB-Groep) assessed in 2005 that she had not been eligible for study maintenance assistance in the second half of 2003 and ordered her to repay the amounts received. - Good behaviour: self-support initially (three years), enrolled in studies and contributing to Dutch society even during her studies in her practical training period. Advocate-General Mazàk moreover made the explicit point that she did not seem to have moved with the goal of claiming benefits. 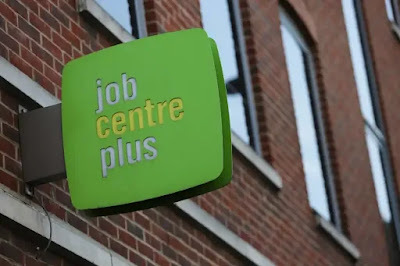 - Exceptional harm: Although the withdrawal of the benefit was retroactive, when assessing her right to access the benefit as matters stood in 2003 one could plausibly maintain that, as with Grzelczyk, non-access to the benefit would have made the completion of the degree much more difficult. - The support requested covered only a limited time: at issue was a six-month period only. - Limited cost of the support: As with Grzelczyk, this aspect is hard to estimate. - Positive outcomes: the completion of the degree would enable her to contribute to Dutch society and economy as a teacher. - State at fault: One could make the argument that given the fact that they had initially granted her the benefit and only much later (some one and a half years) took the final decision to recover the amount, should count against the Dutch state. Finally, in addition to these elements from Davies’ deservedness matrix, the applicant had a relationship with a Dutch national and given her work, presumably, spoke fluent Dutch – both elements that the Court in other cases has found relevant when assessing eligibility to benefits (see Prinz and Seeberger, for instance). All in all, one would assume, from the methodology applied that this applicant should be successful, or that should have led to a ‘discretionary-result-with-a-hint-in-favour-of-the applicant’. Yet, she categorically lost her case, notwithstanding the suggestion by the Advocate-General to consider the circumstances of the case along the lines suggested above. Yes, the conclusion was (partly) mandated by the EU citizens’ Directive 2004/38, but the Court certainly did not ‘bend over backwards to find exceptions to [this] restriction’ as his matrix would predict. The cases of Commission v Austria and Commission v the Netherlands are perhaps even more glaring. The issue concerned a travel benefit aimed at students attending higher education. In the Austrian case, decided in 2012, Austria argued that it could refuse access to the benefit where the Union citizen in question had not yet obtained a right to permanent residence (a five-year prior residence requirement in practice). In contrast, the Court found that all persons enrolled in higher education should have automatic access. The case is somewhat hard to fit into the matrix, but intuitively one could argue that the Court was not swayed by the hypothetical good behaviour of potential beneficiaries (no prior residence requirements, no integration), nor was the benefit for a limited time (it could last the entire study period), all persons enrolled in higher education persons were eligible (no ‘limited costs’) and it is hard to imagine an ‘exceptional harm’ had the benefit been denied to the hypothetical applicant. Notwithstanding this apparent lack of deservedness, however, a positive outcome for the hypothetical beneficiaries. Here the Court decided that the Netherlands could restrict the benefit along the terms suggested by Austria in the earlier case. It stretched the limits of consistency by trying to distinguish the latter case with a bizarre reference to the difference in national classification of the benefit, despite it being settled case law that such classifications are irrelevant - a point the Court itself made in Commission v Austria. So here we initially have a judgment against the State and in favour of the Union citizen, whereas the matrix would likely predict a judgment in favour of the State. Four years later the Court came, on largely the same facts, to the opposite conclusion. This should not be seen as a (late) vindication of the matrix however, since the Court formally distinguished the latter case from the former, meaning that both cases continue to be good law. - The Court is not consistent. This would mean that Davies’ hypothesis is disproven. - The matrix presented, by which the court supposedly measures deservedness, is flawed. This goes to the methodology used and means that we simply haven’t found calculus that the Court uses. It would seem to me that the existence of both Commission v Austria and Commission v the Netherlands as ‘good law’ seems to hint at the former. In any case, however, to argue that the Court of Justice is normatively consistent, on the basis of the analysis carried out by Davies, is a bridge too far. I think my original post got lost in cyberspace - if not apologies for repetition. Anyway, I agree with you although I have not read Davies' piece so cannot comment on that. I would add that in my opinion the Court has also an emotional response to different claimants (sort of unconscious bias) see Ruiz Zambrano versus Dereci, and obviously the reasoning in Dano. Also if Dano had been decided according to previous case law the end result would have been the same (she would have failed on proportionality), but instead we see a departure from using the Treaty as a supplementary tool. One might say that this is justified having regard to the Directive 2004/38 and the reference in the Treaty to limits and conditions - but it is a considerable departure from the Baumbast approach. The question is of course how far that interpretation stretches.